The Uber CEO, 39-year-old Travis Kalanick is quite a guy. When he’s not driving an Uber incognito or crushing competition in the commutech space in over 180 countries, he gives us things that make us go aww. In a rare glimpse into his personal life, the billionaire CEO recently shared photos with his pet Lhasa Apso, Yobu. 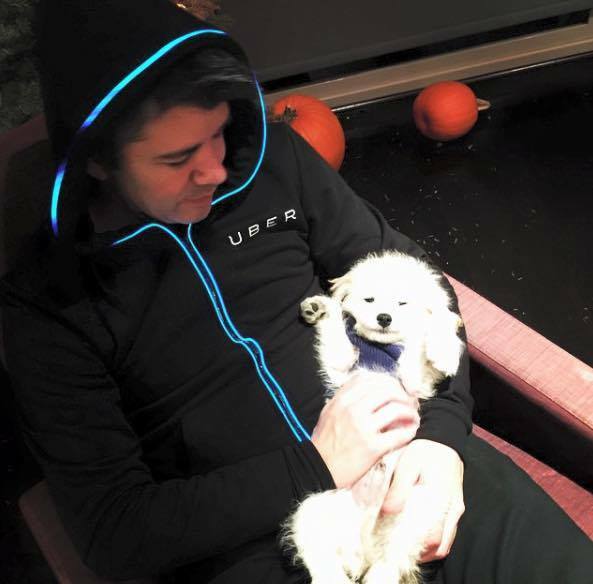 The photo sharing seems to be stemming from Kalanick promoting an app called WAG on his Facebook profile. “I’m using WAG, an on-demand dog walking app so my puppy, Yobu, is happy and energized when I’m working at the office.” the message reads. “Wag nominated Yobu for WAG President and it is important that his policies on legalizing dog marriage, renaming hot dogs to ‘hot cats’, and opening more therapy centers for peanut butter addiction are extended to puppies everywhere.”, he jokes intending to appoint his dog as the head honcho at the app. 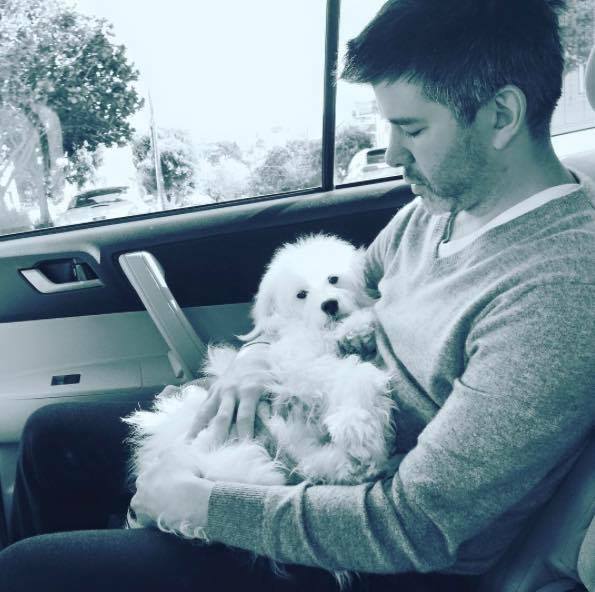 When someone jokes back and asks Kalanick if his dog is liberal or democratic, Kalanick replies “He’s a dogocrat.. Very dogmatic in his approach to politics.”. If the photos of Kalanick snuggling with his dog weren’t enough, here’s a CEO that’s funny as well. Uber and puppies go a long way. Like most Silicon Valley based offices, Uber’s too a pet friendly office. Uber has constantly rolled out marketing initiatives that have involved dogs. In India, Uber rolled out a ‘puppies on demand’ day wherein a user could call an Uber full of puppies, and also adopt them. “I URGE you to vote for the future, vote for YOBU!”, says Kalanick. “Allow us to take our dogs in an Uber first”, we ask of Kalanick.